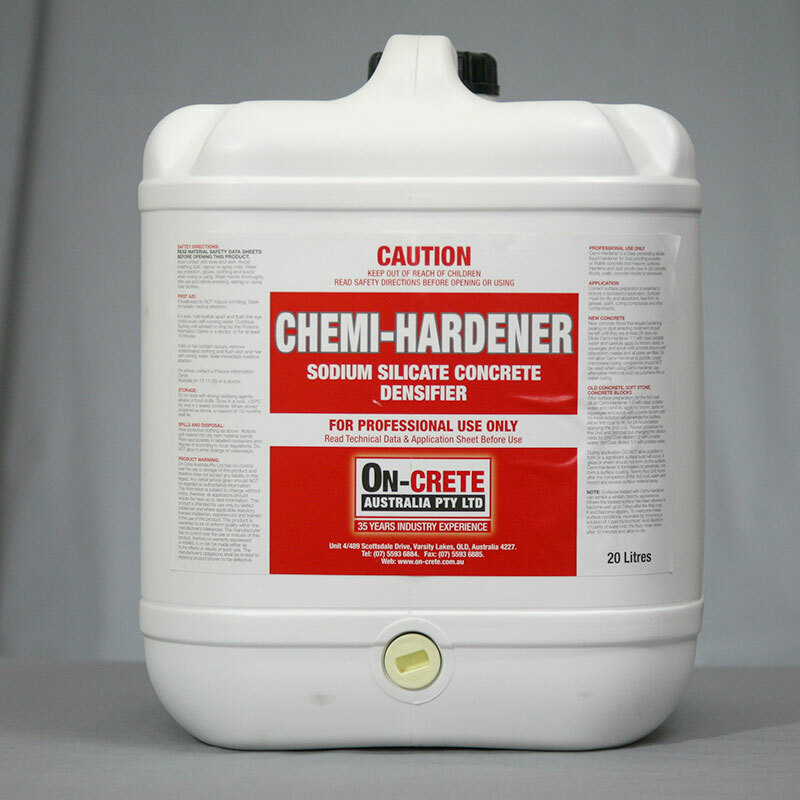 Chemi-Hardener is a deep penetrating silicate liquid hardener, for dust-proofing powdery or friable concrete and masonry surfaces. Hardens and dustproof new or old concrete, floors, walls, concrete blocks or stonework. Chemi-Hardener is a sodium silicate concrete densifier. The sodium silicate solution is designed to penetrate the concrete surface and react with the excess calcium hydroxide (CH) to form calcium silicate hydrate (C-S-H). The reaction results in a decrease of permeability to the surface and increased density and strength near the surface.